From 1941 to 1945, targeted individuals were systematically murdered in the Holocaust as part of broader acts of oppression of various ethnic and political groups in Europe by the Nazi party. 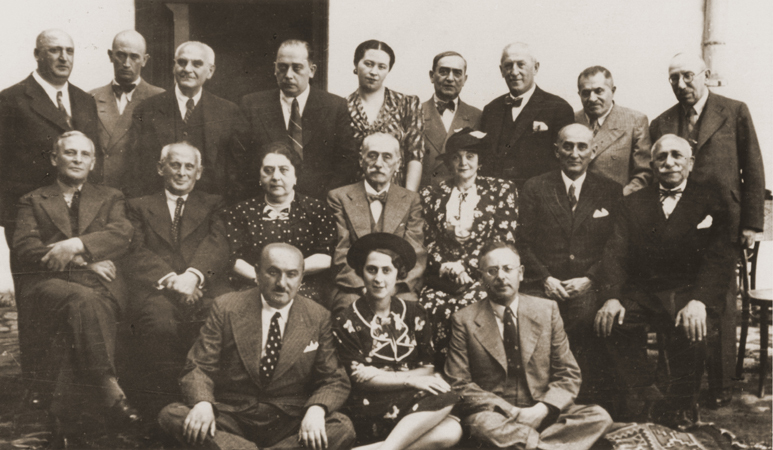 While the Jews were the largest group targeted, other victims included the Gypsies, the Slavs, the disabled, homosexuals, Communists, and Freemasons. Over six million Jews were killed in the Holocaust, while the total number of murder individuals is calculated to be over eleven million people. Historical scholars estimate that more than 80,000 Freemasons were executed by the Nazis and their collaborators. As part of their propaganda campaign against Freemasonry, the Nazis created anti-Masonic exhibitions throughout occupied Europe. The Nazi Gestapo seized the membership lists of the Grand Lodges and ransacked masonic libraries and lodges. The items stolen from Masonic buildings were exhibited in many anti-Masonic Expositions. The Nazi leader, Dr. Joseph Goebbels, created the first of these public displays in Munich, Germany in 1937. In October of 1940, the German occupied Paris erected an anti-Masonic exhibition. A similar event was hosted in German occupied Brussels in February 1941. Displaying Masonic tools, ritual, and regalia stolen from lodges, these exhibitions were intended to instill ridicule, hatred, and fear towards Freemasons. In addition, the displays were intended to establish a connection in public sentiment between the Jewish people and Freemasonry. 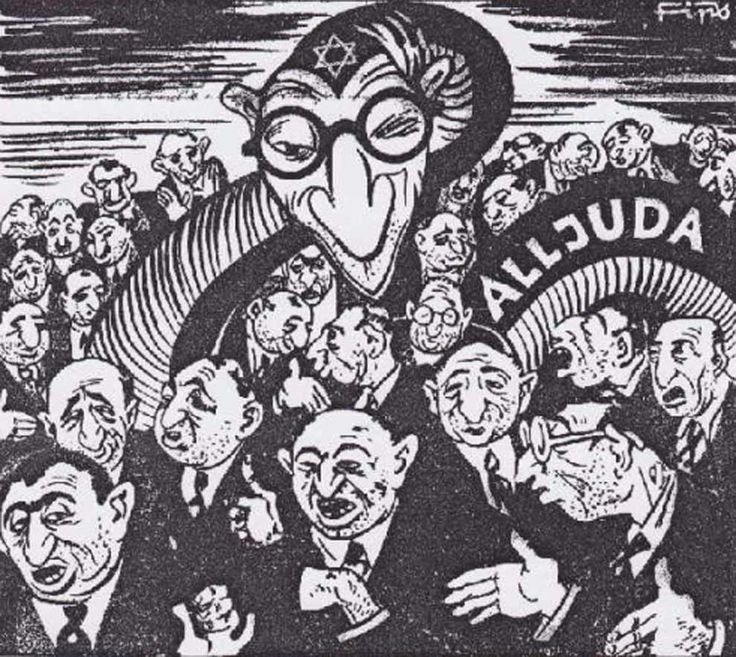 German propaganda argued tha t the Jews and the Masons had provoked World War II, particularly through the policies of U.S. President Franklin D. Roosevelt, who the Germans identified as a Freemason. The Nazi Primer, The Official Handbook for the Schooling of Hitler Youth, attacked Freemasons for their “mistaken teaching of the equality of all men” by which these groups were said to be seeking power over the world. Adolf Hitler became Reich Chancellor in January of 1933, and he swiftly moved to seize power for the Nazi Party across Germany. On April 7, 1933, Nazi Leader Hermann Goering held a meeting with the Grand Master of the Grand Lodge of Germany, where he informed him that there would be no place for Freemasonry in Nazi Germany. 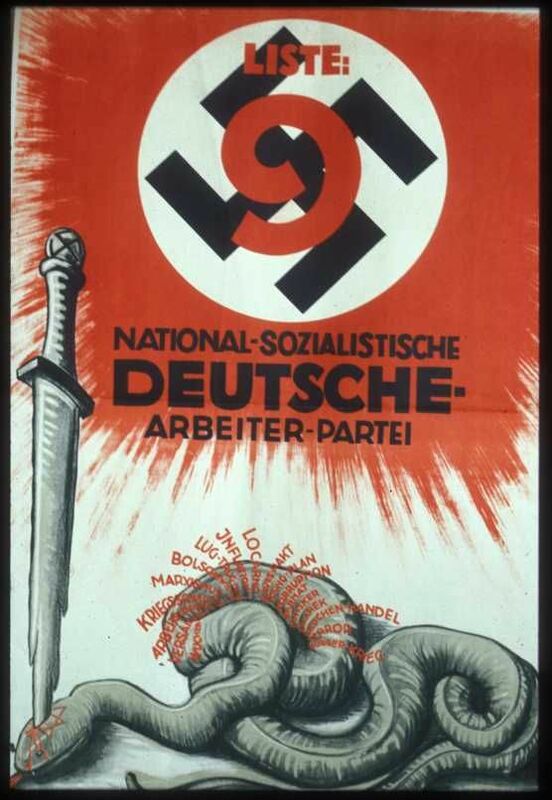 That year, the Nazi Party created an intelligence agency, the Sicherheitsdienst (S.D. ), within their larger Security Service, the Schutzstaffel (S.S.). The Inland S.D. (Office II) was responsible for intelligence gathering and security within Germany, with a special section created to investigate and deal with Freemasonry. S.D. written documents and officers stated that Freemasonry exercised actual political power and shaped public opinion. Freemasonry was targeted for destruction and its members selected for extermination in part because the Nazi Party believed that the Masonic organization was powerful enough to provoke war, subversion, and revolution. The Nazi Party Court System issued an ultimatum to Freemasons that they must abandon their Masonic affiliation prior January 30, 1933 or be excluded from the protection of the Nazi Party. On October 28, 1934, Reich Minister Wilhelm Frick issued a decree defining Freemasonic lodges as “hostile to the state” and their property was subject to seizure by the state. Finally, on August 17, 1935, citing the authority of the Reichstag Fire Decree, Frick ordered all remaining organizations dissolved and their assets confiscated. Freemasons were required by the Nazi Party to publicly declare their Masonic membership, similar to the requirements of forced registration of the Jewish people. The Freemasons who were registered were later rounded up using the state’s registries and sent to concentration camps for extermination. In August 1940, the Vichy Regime in France issued a decree declaring French Freemasons to be enemies of the state and authorizing police surveillance of them. The French wartime authorities created a card file that identified all members. That registry survived WWII and is now part of the holdings of the U.S. Holocaust Memorial Museum Archives. When France fell to the Germans, the Vichy government decreed the dissolution of Masonic organizations, including the Grand Orient and the Grande Loge of France. The property of the French Masons was seized by the Nazis, confiscated, destroyed, or sold. Between 1941 and 1944, Nazi German authorities deported millions of individuals, including Freemasons, to ghettos and concentration camps where multitudes were murdered in specially developed gassing facilities. Across Europe, Freemasons were subjected to surveillance, persecuted, arrested and sent to extermination camps. In Austria, members of the Vienna lodges were captured and sent to one of the most notorious concentration camps: Dachau in Bavaria. The Nazi Protocol was repeated when Hitler invaded Czechoslovakia, Poland, Holland, and Belgium. « Is Freemasonry a Cult?